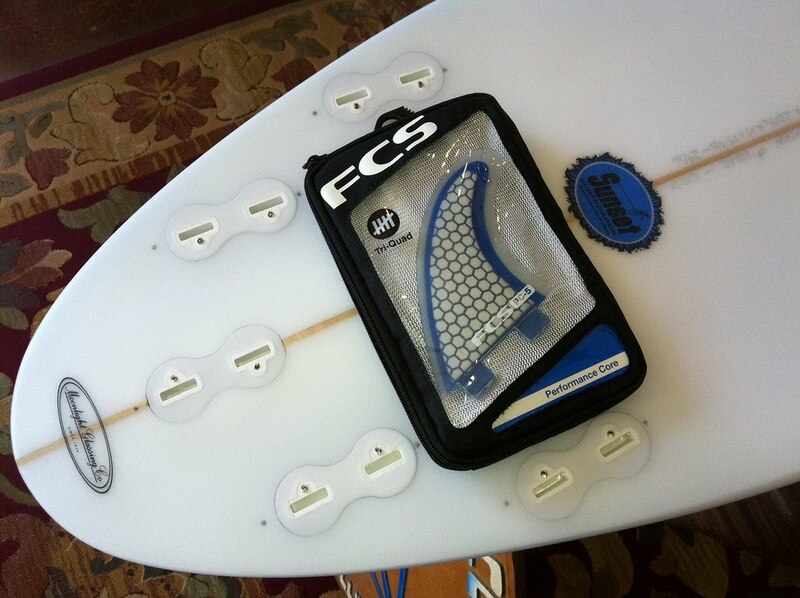 Looks like Surfy shop grom Andrew is leaning towards quad. 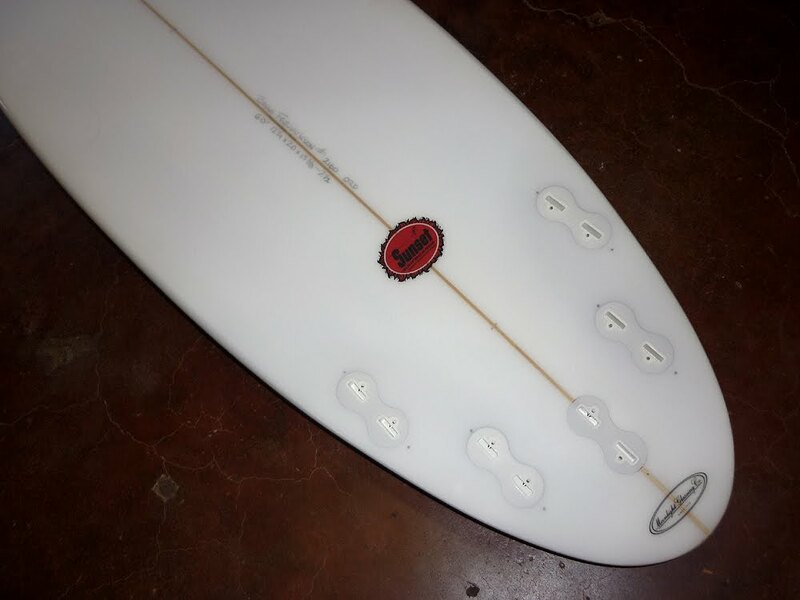 The 2011 Oscillator model cleanly handshaped by Brian Fredrickson exclusively for Surfy Surfy. Stoked! 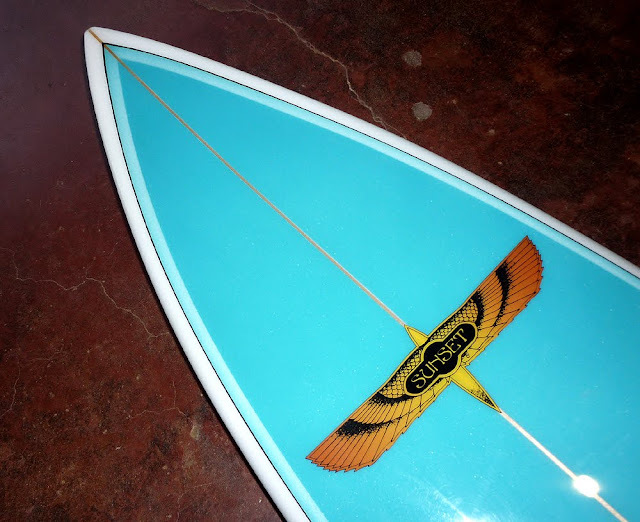 Sunset Surfboards handshaped by Brian Fredrickson now available at Surfy Surfy Surf Shop! 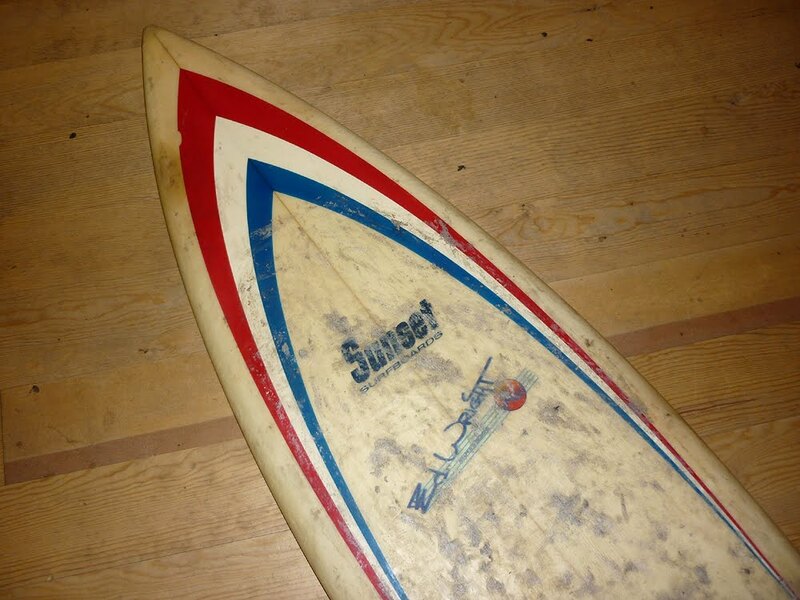 This one came into the shop via the underground surfy network of surf bros with rad old boards in their garages. 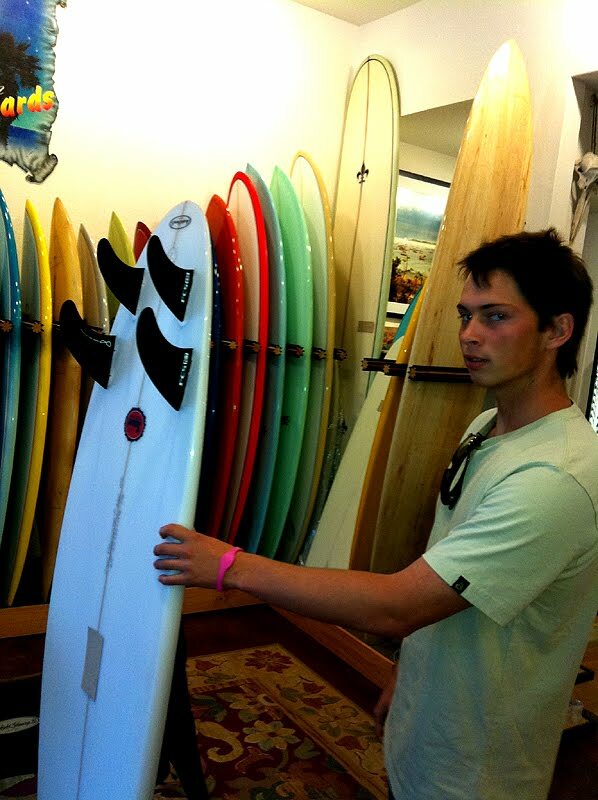 Who: Shaper and founder of Sunset, Ed Wright. Where: Made at Moonlight Glassing, which originally existed inside Sunset Surfboards on the coast highway in Encinitas, before moving out to the industrial park in San Marcos in 1979. 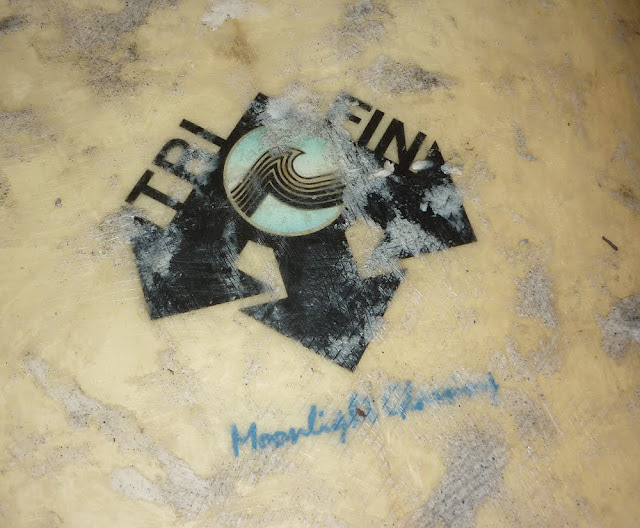 *An interesting blend of logos from the classic 70’s Sunset to Ed’s very 80s shaper logo, to the super classic TRI FIN logo (to clarify the confusion of early 80’s multi-fin madness). *The red, white and blue wishbone hotcoat color work is 1970’s influenced. 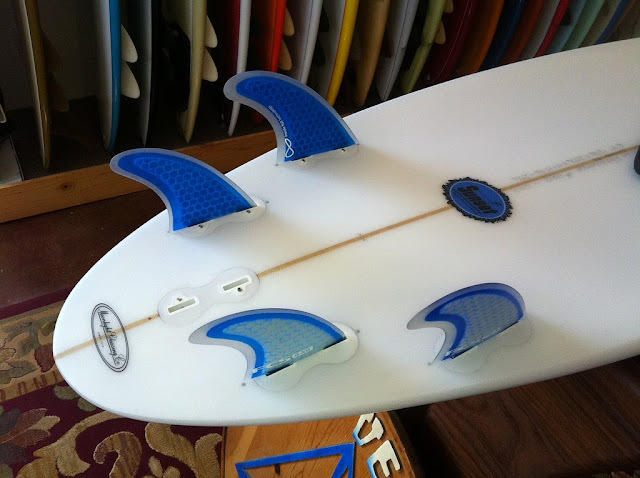 *The glass-on side fins are cool. 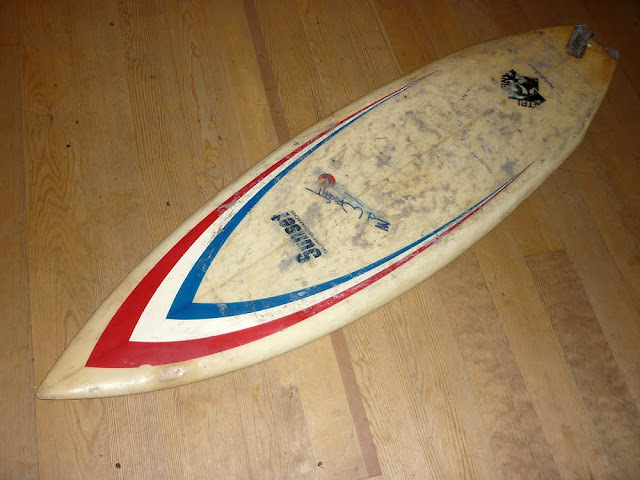 The center box is a Freestyle box which is common on these early 80s boards. The mini-boomerang fin was actually popular for a short time back then. *Duct tape seems to have fallen out of favor as a go-to ding repair solution in the last decade or so. 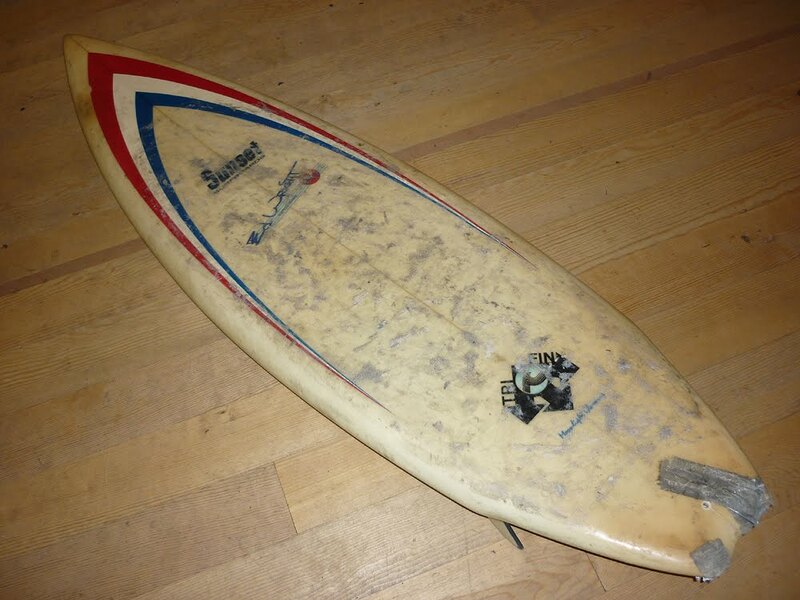 *This board was well used which is a good sign that the owner loved it. 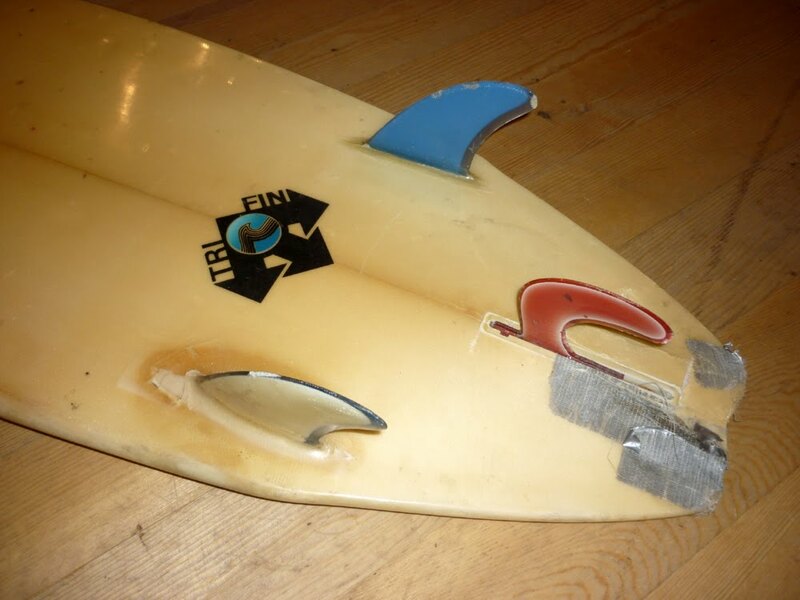 It has some major dings but all are repairable. 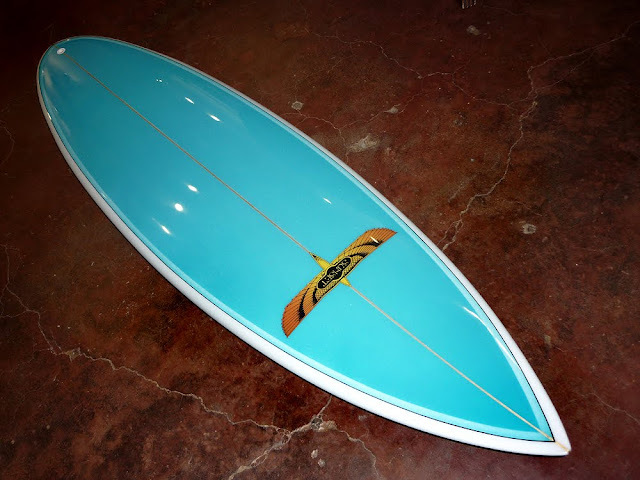 *There are design elements in this board which are enjoying a resurgence lately. 1980s shortboards were pretty darn good mushbusters. 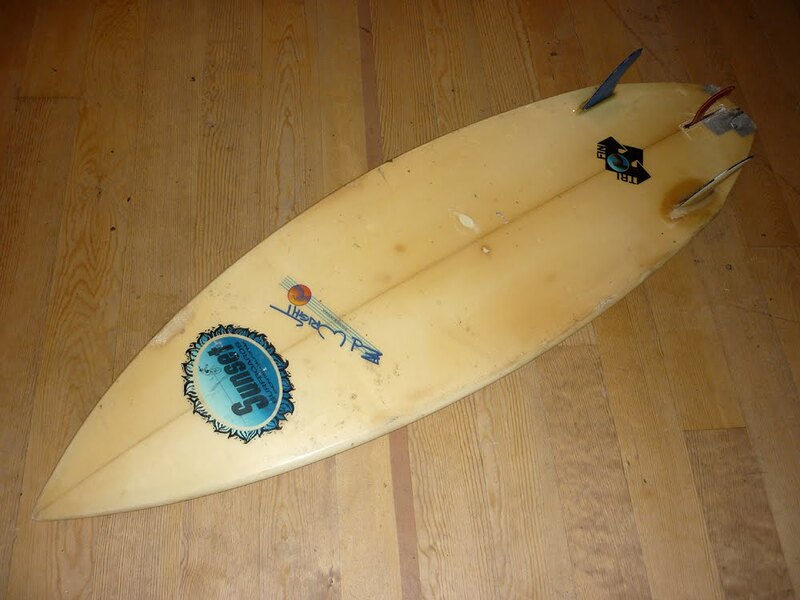 *This board was made 30 years ago by the same crew that makes all the new boards featured on Surfy Surfy. 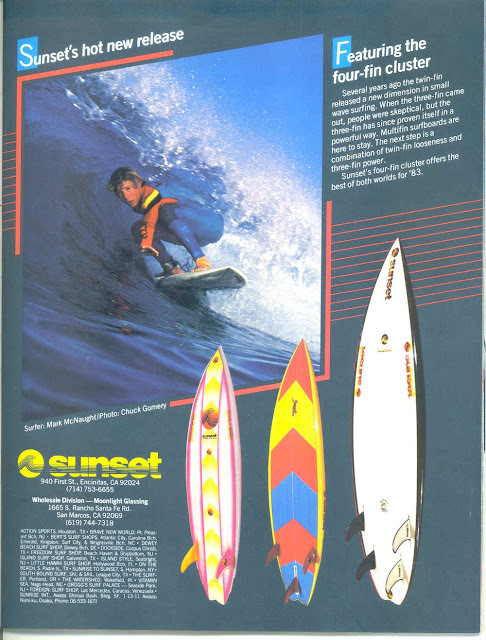 A mysterious gent named Red Bear sent me this Sunset Surfboards ad from 1983 that ran in Breakout Magazine featuring a young Mark McNaught getting slotted. Note that Moonlight’s address is the same but with a zip code changed. Listed is a different from now phone number from when the 619 prefix covered north San Diego county. 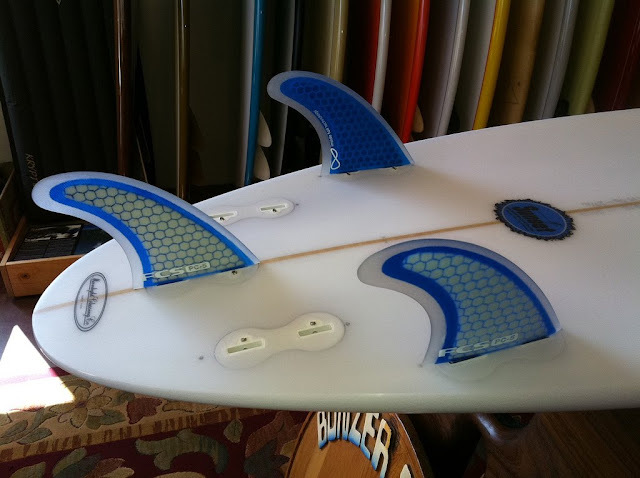 I like that the tri-fin has a center box and that the quad has four fin boxes, most likely the Freestyle fin system. The black rail quad has 6 logos on the bottom! I love the outlines on those boards and of course, the flashy airbrushes.